So much has happened since I was last on my blog back at the beginning of this year. Incidentally, my visit here was a result of me visiting one of my favourite bloggers, Gavin Webber from The Greening of Gavin. I was listening to Gavin’s latest podcast about downsizing which brought me to my own blog. I was sorry to see a line up of unanswered comments from people who have stopped by over the months and it made me want to reconnect with this little project I once really enjoyed. The past twelve months have flown by, almost a year has passed since we sold our home in Sydney and to be honest, I’ve almost been too busy to breathe. If I haven’t been working in Sydney, I’ve been working on the property, building a major driveway, planting five hundred plus rainforest trees, landscaping, sorting stuff out and working our hardest to get the Shack in order for summer. The good news is that from next Monday November 2, I’ll be back from Sydney for the summer and if my stars align, possibly for good which means I’ll be able to throw my heart and soul into our new life at the farm and maybe even devote a little bit of time to my blog. Chris and the kids have been incredible, holding it all together while I’ve been away but the time has come to move onto the next chapter. The Shack is almost done and I’m giving myself till the end of November to get it finished. We haven’t lived in the Shack since August but it was such a great experience while we did, living in such a small space with very little was extremely humbling and a far cry from our spacious existence in Sydney. It’s a gorgeous little place and we especially enjoyed sleeping in the loft with it’s views across the rolling hills to the mountains. I’m sure there’ll be another opportunity for us to live in the Shack again down the track but for now, it’ll have another purpose and that is to help supplement our income so I can be more available to be with Chris and the family and get back to doing the things we love. 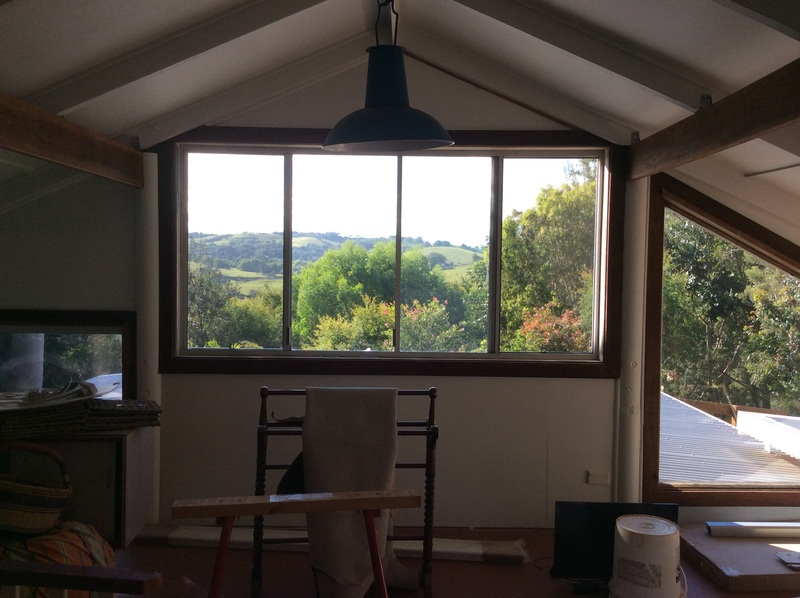 As I sit in my little rented cottage in Sydney, I can hear big rain drops falling on the tin roof and it makes me long to be home. A few more days and I’ll be back where I need to be but hang on…that’s right…I’m off to Melbourne for the weekend with the girls. I couldn’t possibly miss the David Bowie exhibition! Rain in the roof here too. Great fr the trees. Looking forward to having you home.